Salman Khan Celebrated His 53rd Birthday With Family And Bollywood Friends: Salman Khan has been 53 years old Last night he gave a fantastic party as usual. He was on his farmhouse in Panvel last night where he gave this party. During this period, the whole family of Salman Khan was present. Along with Salman, bodyguards were seen standing with Salman like a shadow. 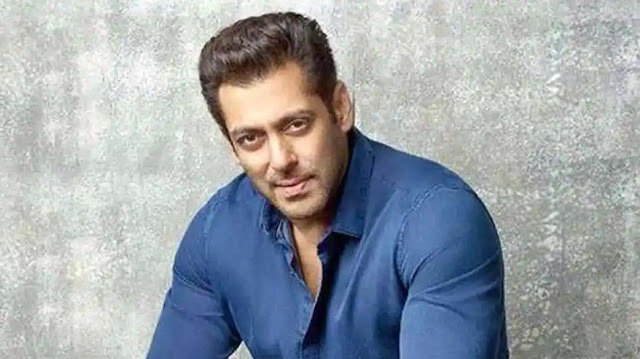 Salman Khan had a birthday on December 27, and to make this day more special, he gave a bustling party to his farmhouse at Panvel. During this time all the people of his family were involved. Salman took his Bhanje Ahil in lap and cut the cake, whose video is being viral on social media. The pictures of this party had already been revealed. In this party, many other actors, including Sanjay Leela Bhansali, Dil Mirza, Yulia Vantur, Mauni Roy, Anil Kapoor, and Sonu Sood and Sushmita sen attended. Although Salman and Sushmita have not done much work together, their onscreen chemistry has always been liked. Sushmita, Salman's opiate film 'Biwi No.1', 'Tumko Na Bhool Paayenge' and 'Maine Pyaar Kyun Kiya' appeared in '. Explain that Sushmita was among the few selected guests who were called at the party at Salman's Panvel Form House.